Edinburgh University Press, 9780748697977, 192pp. In recent years some of the most innovative European and American directors have made films that place the spectator in a position of intense discomfort. Systematically manipulating the viewer, sometimes by withholding information, sometimes through shock or seduction, these films have often been criticised as amoral, nihilistic, politically irresponsible or anti-humanistic. But how are these unpleasurable viewing experiences created? What do the directors believe they can achieve via this 'feel-bad' experience? How can we situate these films in intellectual history? And why should we watch, study and teach feel-bad films? Answering these questions through the analysis of work by directors such as Lars von Trier, Gus Van Sant, Claire Denis, Michael Haneke, Lucille Hadzihalilovic, Brian de Palma, Bruno Dumont and Harmony Korine, The Feel-Bad Film invites readers to consider cinematic art as an experimental activity with ethical norms that are radically different from the ones we would hope to find outside the movie theatre. 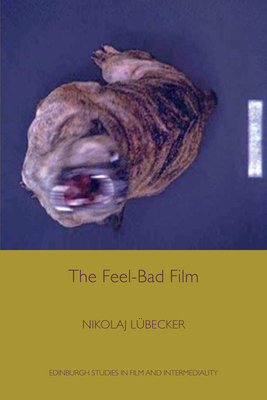 This textbook offers invaluble insights for students of film-philosophy, film and spectatorship and film theory. About the series: Edinburgh Studies in Film and Intermediality includes scholarly research intended to challenge and expand on the various approaches to Film Studies, bringing together film theory and film aesthetics with the emerging intermedial aspects of the field.